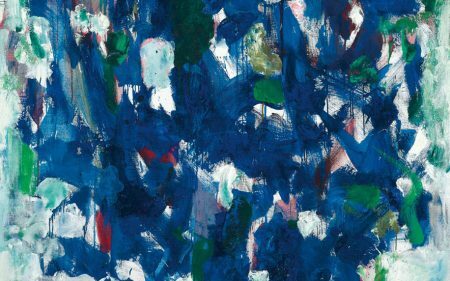 With a body of work totaling nearly four thousand paintings, Clyde Singer was one of the most prolific and celebrated artists of his generation. Singer trained with Thomas Hart Benton, Kenneth Hayes Miller, and John Steuart Curry among others at the Art Students League and quickly became a follower of the American Scene movement. 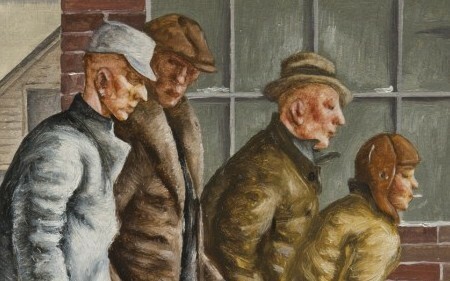 From 1934 to 1939, Singer produced a remarkable body of work that included local scenes, landscapes, and the people of his hometown in Malvern, Ohio. 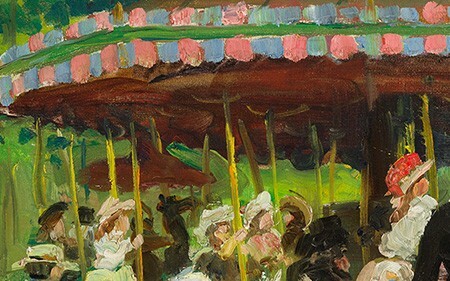 The present work, Barn Dance was painted during this important period of Singer’s career. 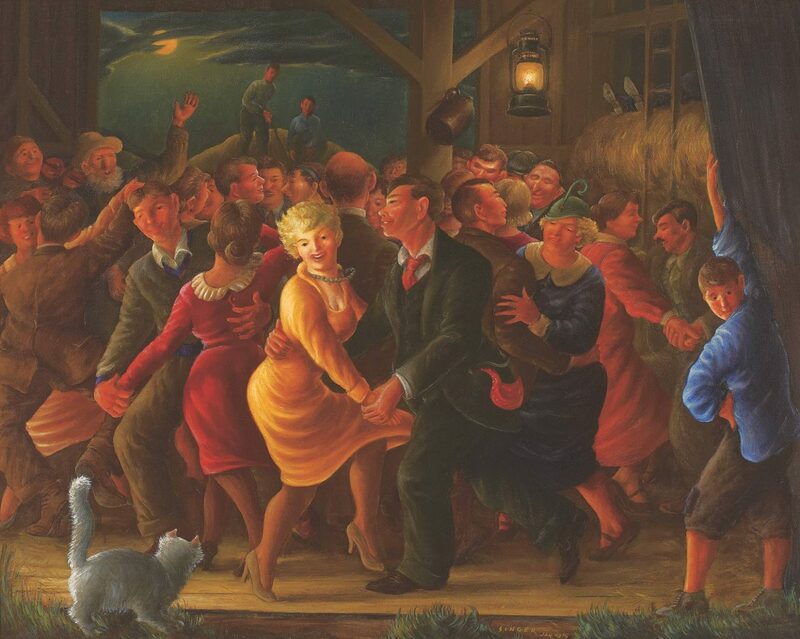 The scene depicts a large gathering of revelers dancing in a moonlit barn. At the lower right of the composition, a young boy draws a theatrical curtain aside, inviting the viewer to witness this seemingly clandestine event. The dense, multi-figured composition of dancers and the moonlit glow relate to the paintings of Reginald Marsh, the vibrant painter of New York life during the 1920s and 1930s.